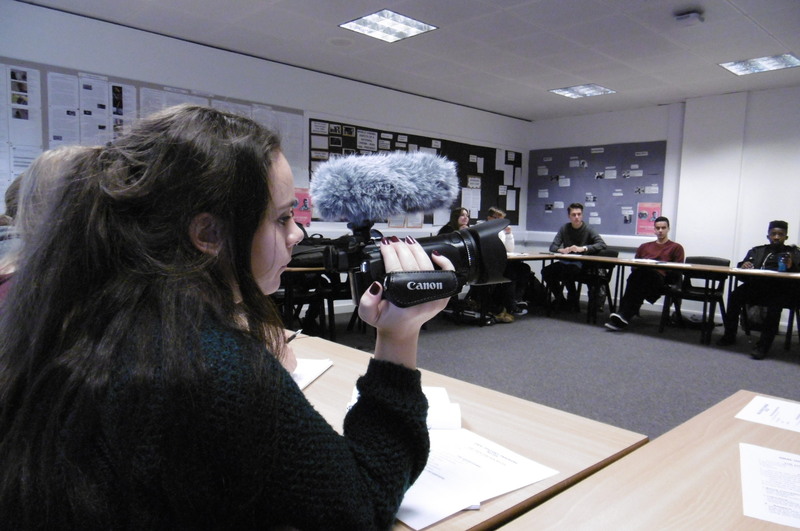 8th October 2014: Creative Media Production students were visited by Roger Kitchen, accredited trainer for the British Library and Oral History Society. Roger has over 30 years experience in collecting audio and video oral histories. 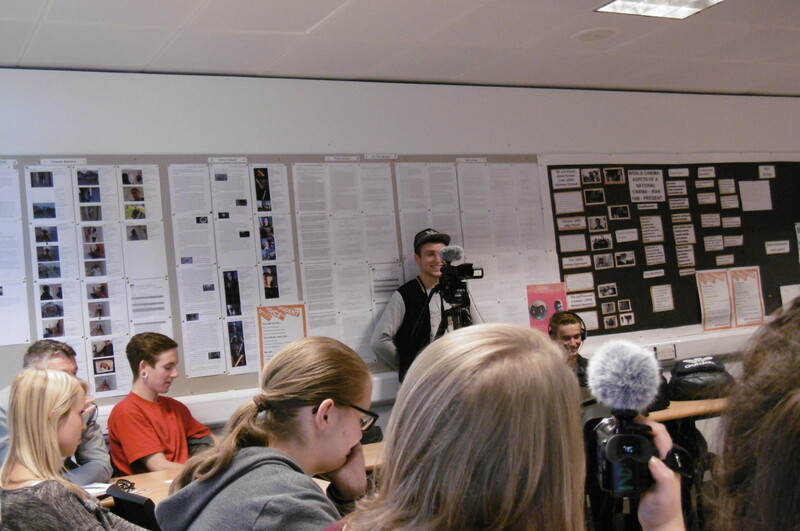 He led a workshop for the students focussed on the processes for taking an oral history, interview skills and top tips on how to film the interviews. The students will be focussing their interviews on the project’s six research themes; ‘Entertainment and sports’, ‘Romance death and daily life’, ‘War artists’, ‘Morale and mutiny’, ‘The home front: impact on the locals’ and ‘The camp: tents, huts, maps, soldiers’. So Roger got the students to think about the kinds of questions they would ask. For example for the final theme the students started working on questions about the living conditions; ‘Did you stay in tents or huts?’ and ‘Did you have any personal space?’. Roger finished up with some practical tips on setting up the interviews and using video equipment for the best effect. Many thanks to Roger for his time and expertise. His lessons will soon be put to good use by the students who are interviewing residents of Queen Alexandra Hospital Home.